Do you need first aid certification in Edmonton and don’t know where to go? Are you contemplating on-line courses? Maybe your worried that you’ll take a course and the certificate won’t meet your requirements. Many people that require first aid certification turn to Edmonton First Aid because it offers Alberta OH&S approved certification and its the lowest priced provider in the area. It has been offering courses since 2008 and has grown to be one of the most popular providers. Staff and teachers are polite, friendly and welcoming and the facilities are well-maintained and clean. Scheduling is very flexible, with classes held throughout the week (including evenings and weekends). Students can find a complete list of classes, as well as a registration form on the Edmonton First Aid website. This provider boost a varying number of different classes including on-line safety training, food safety certification, pet first aid, basic life support (BLS) and advanced cardiac life support (ACLS). Use the contact information below to register for a course or for more information about registration and training. 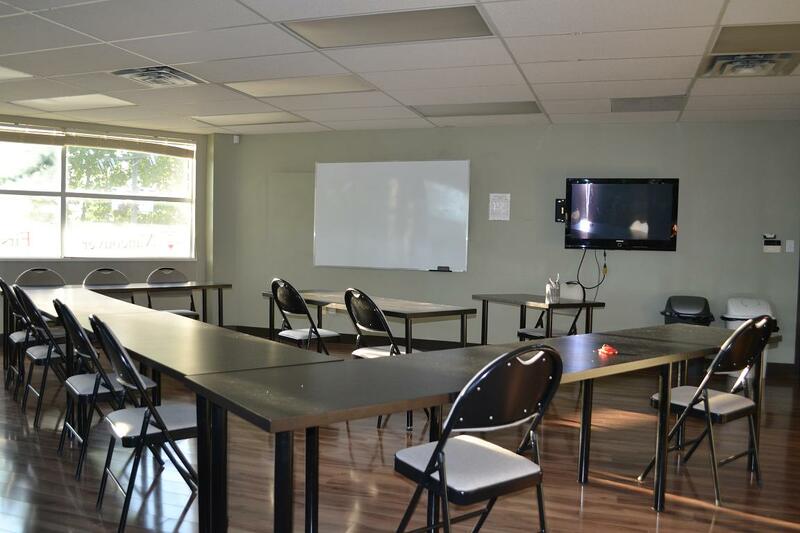 This popular training provider is located just south of Whyte Avenue and provides lots of free parking. Lots of restaurants and amenities are located nearby. For more information about this training location view the map below. Students who drop out are entitled to full refunds, provided a 72-hour notice is given beforehand. Automated external defibrillation (AED). When and how to use it. These and many more topics are covered in a OH&S approved standard first aid certification course in Edmonton. What People Are Saying About This Provider? Take a Class today and make your own review! Certificate cards are awarded to students upon passing a program. Wall-mount certificates can be requested. The certificates are only valid for three years but will meet what requirements and legislation you need it for. Certification meets Alberta OH&S requirements. Students can book private instructors for special training at home or workshops and conferences. Different instructors have different rates and schedules so so send e=mail or give a call to inquire about them. Food-borne illness symptoms are pretty self-limiting and go away in a few days. However, persistent symptoms and other factors affect your body’s ability to fight it so you’re better off getting check out by a medical professional.